"School's out for summer!" maybe be a popular lyric from the Alice Cooper song "School's out", but in the last couple of weeks, schools around the nation have been getting out for summer vacation. This means kids will have more time to get into more trouble on the internet. Let's face it, every child has a phone--whether it be for safety reasons or just because-- and their access to the internet is but just a few button clicks away. It has been made easier for people to stay in touch, and even meet through E-mail and social media websites, such as Facebook and Twitter (to name a few). High school teens at one time would bug their parents by staying on the phone with their friends for hours, now they spend majority of their time on their laptops chatting with their friends on IM, updating Facebook statuses, downloading music on iTunes, and watching their favorite shows online. While teens may gain many benefits from this online community, it comes with many dangers as well. If they aren't careful, they could risk their privacy, reputation, and even physical safety. Many people just don't realize that despite the Internet's fast pace, it has a long memory. Once something is post on the Internet, it stays there-- long after it disappears from our Newsfeeds on Facebook or is deleted. What teens write on Facebook or tweet on Twitter can be an extension of their personality, and can set their reputation. A Facebook Profile shows the world what activities they like to do, movies they like to watch, music they listen to, events they go to, who their friends are, etc. An inappropriate picture or post can affect your teen's reputation, not to mention their future. Have an agreement with your teen on what is OK to post. Explain to your teen that suggestive or inappropriate material will reflect poorly on them, and could affect not only college admissions but their future job prospects as well. If your would not do it in "real life", they should not do it online. If they wouldn't say something to someone's face, they should not text, IM or post it. Encourage your teen to ask questions. Tell your teen to question each source they come across, "Who posted this?" and "Why did they post this?" This will ensure that sources they find for research or school assignments are inaccurate. Stay in safe neighborhoods. Your teen knows not to walk on the bad side of town alone and at night; the same applies to the internet and unsafe or creepy websites. Make sure that your teen feels comfortable telling you if anything bad or cruel happens online. Talk to your teen to make sure they know they can come to you if they come across anything disturbing or uncomfortable for them, no matter what site they were on. Check your privacy settings. Remind your teens to check the privacy settings for all their profiles and set it so only friends can see them. DO NOT TALK TO STRANGERS. Although this seems like an obvious one, people often think the Internet has its own set of rules. 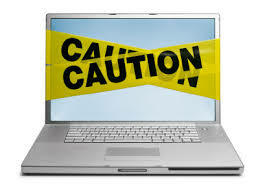 Tell your teens not to open emails from strangers, or accept friend request from people they do not know. Also remind them that people are not always who they say they are online. Here at Donahoe Kearney, LLP, we do not just write about the practice areas in which we work. We also try to give out any information that they find useful in our own daily lives. We also have children and teens and we know what it is like. We hope that you have found this helpful.